With all the Fashion-glam models all around town, Lionel's Melbourne will become the stage for non-stop runways, workshops and just hanging out with the in-crowd over 6 action-packed days. City Square will be transformed into the hub of fashion fun and play host to a series of free fashion experiences throughout the day and into the evening, joined by the 4 faces of MSFW. 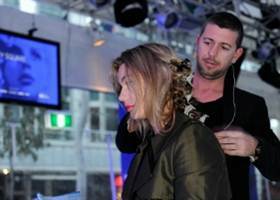 Thanks to Kevin Murphy and Mecca Maxima, you can get free advice and expert tips to glam up your hair and face and hit the streets of Melbourne looking beautiful for MSFW. Click on Kevin Murphy's Style Bar and Mecca Maxima's Make-Up Bar for details to schedule your visit. 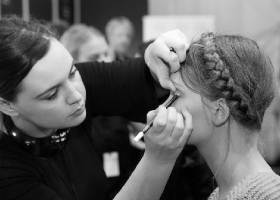 Mecca Maxima team will be sharing about a variety of different products and techniques to beautify you while legendary Kevin Murphy stylist James Furness and his team recreate the signature runway styles in a series of 'how-to' workshops, all free of charge. Click on Mecca Maxima and Kevin Murphy for details of each workshop. MSFW@City Square runs throughout the week, from early morning until evening, rain or shine. In addition to the MSFW Business Series, MSFW@City Square will keep you anchored on Melbourne fashion. So make City Square your must-visit destination whether passing by on your lunch break, or looking to while-away an afternoon. See you there fashionitas! Why? With free runways, demonstrations and workshops, City Square is daily feast of fashion experiences to fill any morning, lunch break, afternoon and evening during MSFW. What Makes the Giant Mud Crab So Popular?